For example-paint sites, or home décor sites like this one at Better Homes & Gardens go a long way. You can find virtually all the tools you need to visualize things. By the end of the day though, if you haven’t yet torn out your hair, hopefully you’ll find what works best to get to that magic place where it all comes together. In some cases, you might be better off HIRING someone who has training and access to specific tools that get you where you want to go. For me, I do a lot of internet search and capture. I grab images of all different kinds and then start playing in Photoshop to see how things look. This time, as with others, I was surprised at the end how my first ideas really didn’t work. It’s important to give yourself time to arrive at the truth about size, color and shapes inside your space. Camera phones and software go a long way. 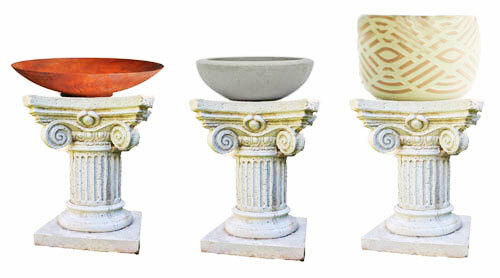 It was a surprise to quickly find a pot I liked and, at a good price -which helped accelerate the process. I hadn’t really planned on resolving it before winter. 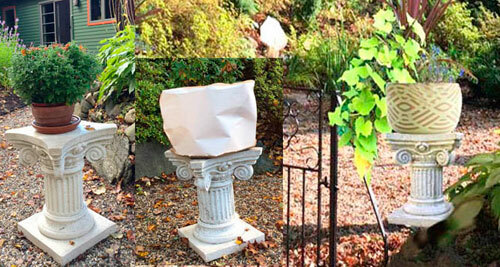 Visions of building fiberglass pots from scratch and painting them to get just the right look had already come to mind. Thank God, that didn’t work out. Sometimes, it’s really hard to visualize even the size of what you’re looking at. I literally made a paper dummy that was to scale. Then, I could drop it into the pedestal photo. In the end, we were able to bring old and modern together, which appears to be an overarching theme for us. And, we got free shipping! Wow. I’ll let you know how it works out next week when the pots come in. Fingers crossed. Zevon shared a friendship with David Letterman and I’ve included an interview with Letterman from October 2002– the year before he passed where he talked about life and his life-ending lung cancer. It is a bit cynical but also funny. A takeaway. Although we don’t have ultimate control over life’s end, we do have control over what we do and say in the meantime. How will we be remembered? This story about Zevon’s life paints a fuller picture. 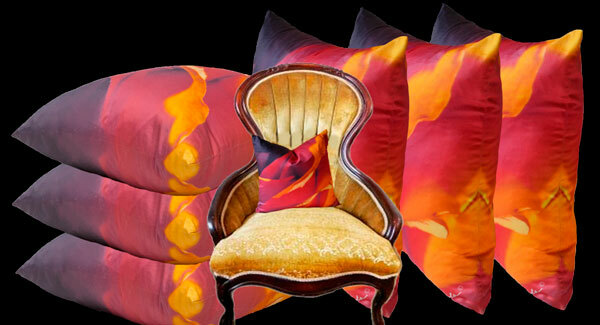 Paola Pillows work for every season, at every time of life. This year, and every fall, red is a recurring theme. It just fits. What do you think?